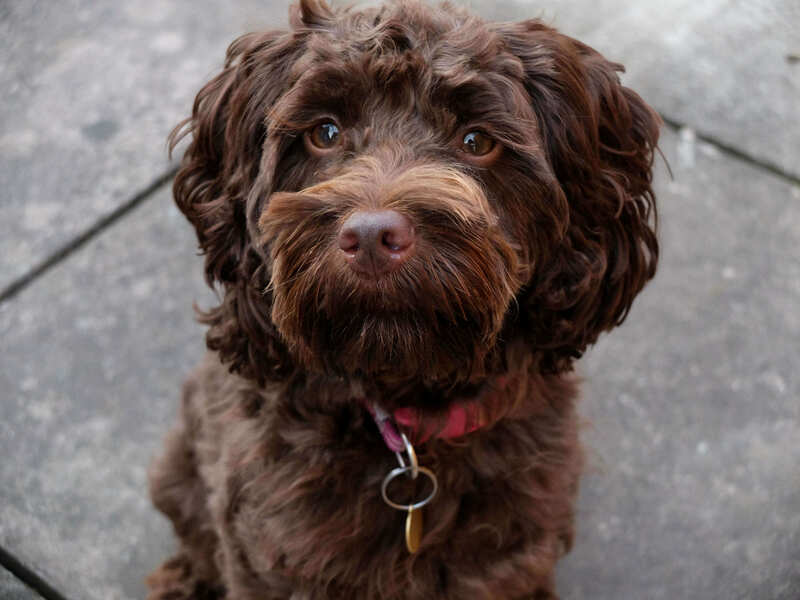 Owner Sarah joined BorrowMyDoggy with her energetic Cockapoo, Coco, to find reliable help one day a week when she had a work conflict. They matched right away with dog-lover Tasha and her boyfriend, who've been taking care of Coco now for over 18 months and as Sarah says, "we know BorrowMyDoggy is making Coco even happier." Tasha’s previous experience working in kennels was a real bonus for owner Sarah who shares, “she was so experienced with dogs, it made me feel really confident about trusting her with Coco, and it was a good sign that Coco was so relaxed with her too.” Read their lovely story here. BorrowMyDoggy has been great and meeting our borrower, Tasha, has been fantastic as we’ve made friends with her and her boyfriend. Being able to give her Coco every week and know that Coco is well cared for and having a great time has made our lives so much easier and happier. When we got our puppy, Coco, there was just one day a week between me and my husband that we needed help as our work schedules conflicted and we didn’t want to leave her on her own. Tell me a bit about Coco? 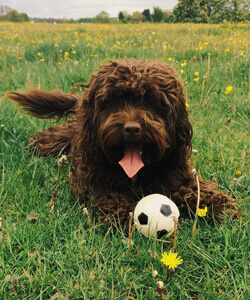 Coco is a lively little Cockapoo and loves nothing more than playing ball! She’s almost two and is a bit smaller than most Cockapoos, but has enough energy to make up for seven dogs! We were looking for somebody reliable and kind who got on well with Coco. I messaged a lot of people initially and met up with a few to take Coco for a walk to see how we got on. One of those four was Tasha and she has been amazing. How was your ‘Welcome Woof’ with Tasha? The first time we met Tasha, Coco took to her immediately and it was clear Tasha absolutely loved Coco. She told me all about how she used to work in kennels and she knew all about lots of different breeds. The fact that she was so experienced with dogs made me feel really confident about trusting her with Coco, and it was a good sign that Coco was so relaxed with her too. How do you and Coco get on with your borrower, Tasha? Our match has been working absolutely perfectly for 18 months. Tasha is so reliable and a bit of a dog whisperer. She has trained Coco to do amazing things and she is far better behaved because of Tasha! 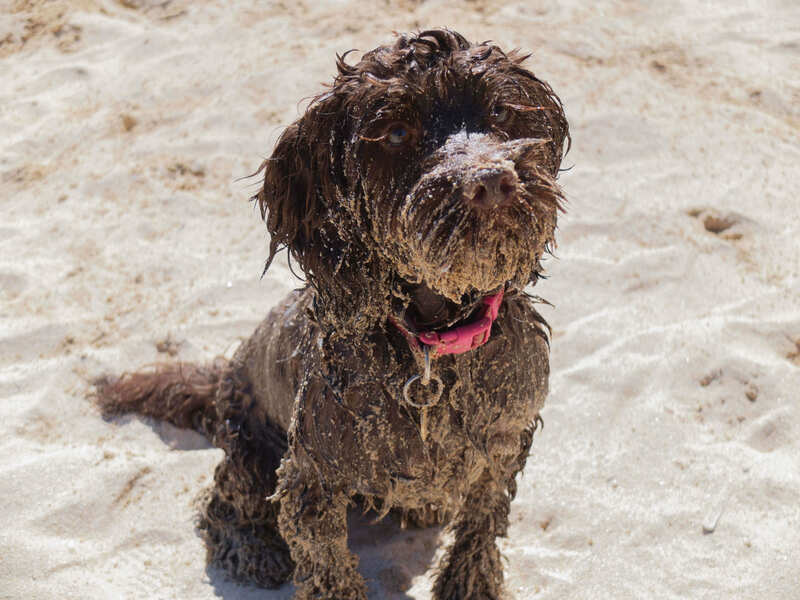 When Coco is with her she gets lots of long muddy walks and loads of attention and we know she just has the best time. We get on really well with Tasha and her boyfriend too - they're absolutely lovely and so thoughtful. We have had them round for dinner and developed a bit of a friendship. Sadly Tasha has now moved to Oxford and we are about to move to London, but we are definitely going to keep in touch. Once we are settled in London, we’ll be on the lookout for a new borrower! It's been great: a doddle to set up and it has made looking after our dog so much easier, and best of all, we know it is making Coco even happier.